Fire and Life Safety... for all ages! Learn how to SAVE a Fire Fighters LIFE! HFT 'FIREBUSTER!' The SAFEST Home Fire Protection Pump System on the Market Today! 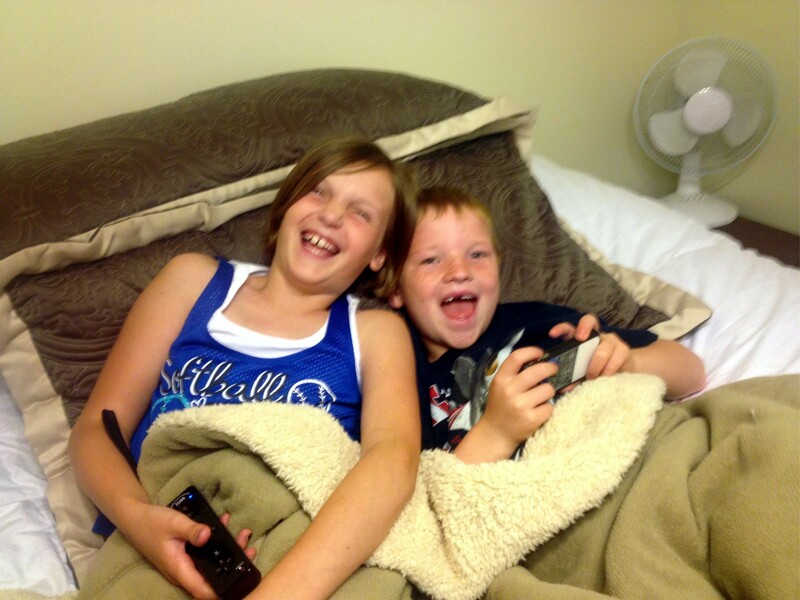 ...to be reunited with their father after years of perjuries entered in the courts. Thank you! Click here to Learn to Apply a few Fire- and Life-Safety Guidelines for All Ages! The mathematical proof one fire fighter can do the work of four with one quarter the effort in one quarter the time! HFT Fire 'RESCUER' Rope Rescue pulley can be readied in mere seconds from any standard 2" Trailer Hitch Slide! CCPOA and their little mathematical error to the 7(k) Exemption of the Fair Labor Standards Act and the MOU with the State of California. $MILLIONS! Listen to this Playlist to enjoy some awesome tunes... but get it's DOCUMENTARY VALUE (including News Releases) as it represents my personal history when I discovered the TRUTH that PROVES your CAL-FIRE is committed to NOTHING but the FEDERAL AND STATE FUNDING it operates THEREOF! ZERO INTEGRITY even HIDDEN from their own DECEIVED personnel who are UNKNOWINGLY and thus upon HIDDEN COERCION are therefore PURPOSELY placing their own crews at IMMINENT RISK and SUBSEQUENT DANGER OF SEVERE BURN INJURIES AND POTENTIAL RELATED DEATHS to secure FEDERAL FUNDING! And now that 'THE' 'DUMBED-DOWN' exam "process" of the Affirmative Action Era is no longer NECESSARY(!?! 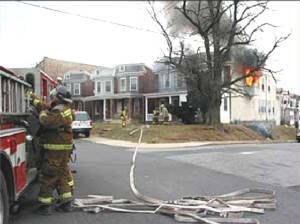 ), they can NEVER go back to the INTERNATIONAL LAWS OF PHYSICS - REALITY - without blowing their own whistle on themselves that regardless of the MONEY... its now a matter of teaching FALSIFIED FIRE HYDRAULICS even their own alleged 'Fire Instructors' aren't even aware what they are TRULY teaching FIRE APPARATUS DRIVER/OPERATORS how to literally 'BURN' THEIR PERSONNEL by PURPOSELY calculating more than 50% INADEQUATE NOZZLE PRESSURE to SAVE THEIR LIVES and do their job EFFECTIVELY! ...for over THREE (3) DECADES NOW! And to think the little DIV CHIEFIE there THREATENED TO FILE FORMAL 'CRIMINAL HARASSMENT CHARGES' AGAINST ME IN OCTOBER 2014 IF I HAD THE BALLS TO CONTACT THIS [MENTAL] INSTITUTION EVER EVER EVER AGAIN! ...MONEY! MONEY!! MONEY!!! GET from REAL Fire Instructors COMMITTED to Fire Fighter SAFETY who REFUSE to put anyone behind the wheel [AS INCIDENT COMMANDER!] until they can PROVE they KNOW the MATH method to EFFECTIVELY APPLY "Basic Hydraulics"...TO PROTECT THEIR CREWS FIRST!!! The ABSOLUTE BEST in Home Fire PROTECTION! A First to support two (2) lines of Protection! ...including an EXTERIOR Sprinkler System! Do you live in an area with this POTENTIAL!?! Protect your ASSETS with the SAFETY of a FIRST w/ Two (2) Lines incl. an Exterior Sprinkler System! Simply the World's BEST & SAFEST Fire Hose Cabinet System EVER! Please go to: http://hoseroller.net to see the world's BEST patented fire hose roller on the market today that rolls everything from 3/4" Peanut Line up to 5" LDH! Take advantage of today's awesome SPECIAL! Contact us by clicking here! Consider if a Fire Victim needs RESCUED... NOW! 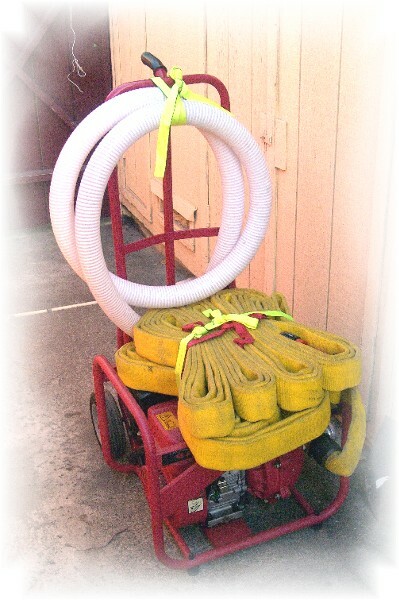 Spend TIME to UNFOLD this Hose for YOUR SAFETY or RISK EVERYONE's to enter NOW w/ NO PROTECTION!?! 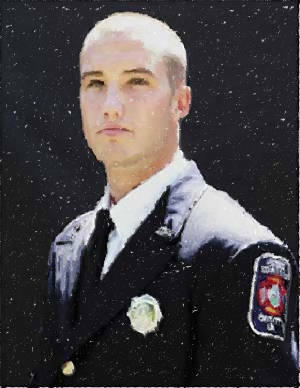 October 2008, FF Renfroe, age 24, died while searching for a fire victim [BEFORE hoselines had been positioned] who unknowingly had already escaped to safety prior to the department's arrival. FLASH OVER! If OSHA knew immediate deployment was possible from the moment we step off the rig as demonstrated here on this site, would our Safety Regulations allow for TRADITIONAL waterless 'Truck' operations!?! Why do we push the envelope!?! "...cause we've always done it that way!" is no excuse! None of us should ever be expected to enter a working fire without the immediate protection of water at literally every step of a hose advancement we take! The LODDs of Cody Renfroe, Oscar Armstrong III, Kyle Wilson, and the Charleston Nine are just a few of the grim reminders we regularly get in too deep beyond the range of our protective resources. Fight Fire SMARTER! ...SAFER! 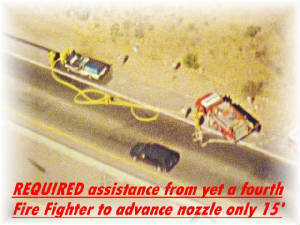 ...with the only 'kink-free' hose load that can be deployed flawlessly at literally EVERY incident! 'Tradition' or PROGRESSIVE intervention!?! The CHOICE is yours! What does NIOSH & NFPA 1403 state regarding acquired structures. Click here to read our latest humbling news from www.firefigherclosecalls.com - Question, "Would these 'May-Day' Calls have occurred if 'DEPLOYABLE' hose was laid IMMEDIATELY AND EFFICIENTLY to protect every step of entry and egress!?!" "What METHOD would you utilize to 'PROTECT' you?!" ...and all others who have selflessly given the 'Ultimate Sacrifice' for the LIFE of another! 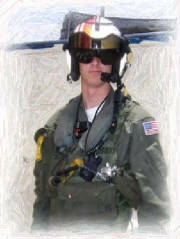 How many times have you entered a Live-Fire environment without a 'Fire-Ready' Fully Charged Protection Line!?! 'Never' should be our answer but reality is... especially if there's an imminent Live-Fire RESCUE and there is neither time nor space to 'flake out,' arrange, re-arrange, and finally deploy an attack-line!?! Is this an OSHA approved exception when you know every second counts!?! 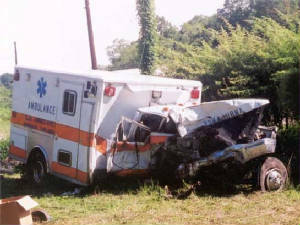 Do we routinely sacrifice and risk our SAFETY to SAVE another!?! How should we train in a 'Controlled' environment!?! Oh, we state, "But that's different! We always train safely!" Right!?! When it comes to 'RESCUE ROPE,' we're all familiar with it's multiple uses including our bread crumb trail to our way out. What about the concept to send in a Truck Company with the protection of a RESCUE 'LINE' that actually serves this same purpose? If Fire Hose can be laid from a coiled configuration in the same manner as a rope, then why not use this IMMEDIATE line of protection as our guide... and allow our Rescue Rope to fulfill other vital functions as it is intended? What is the common element identified in nearly every repeated active fire behavior incident that a Firefighter is injured or we all suffer another LODD!?! 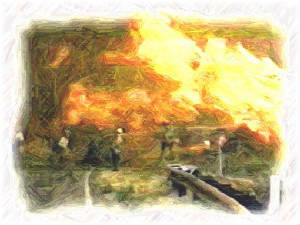 In every case Firefighters were beyond the 'effective' range of an 'adequate' fire stream! ...and many could not find their way out because no 'line' [rope or hose] was laid at their feet to guide every step of their path OUT to SAFETY! With all the firefighter injuries and deaths we read about everyday, do we not have an obligation to at least investigate literally every possible IMPROVEMENT to our Fire Ground SAFETY!?! Do we really need to ask any recently surviving LODD family members such as those of the fallen Charleston Nine? 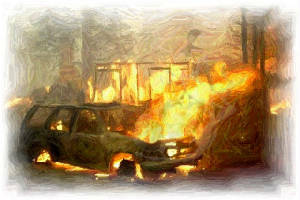 I don't mean to sound demeaning in a derogatory manner, just 'What Is' the 'What Is' we can do to be more FIRE SAFE!?! Please take a moment to read the full article that not only addresses each SAFETY Measure, but articulates just how much energy you can save by implementing these very simple procedures every time you reach to grab an Attack-Line! ...and find a need to advance an existing line [even around right angle turns] almost effortlessly! Rotary vs. Linear Technologies! Hose Roller - Noun and Verb! It truly is this simple! It's the Basics - Kinked Lines - A Friendly REALITY CHECK! Other 'Weekly Fire Drills' - Safety for ALL Firefighters! The New Chemistry in Fire, Vapor, and Contamination Control. F-500 is the WORLD's FIRST 'Wetting' agent to be Non-Toxic, Non-Corrosive, and FULLY Biodegradable! A Class 'A' & 'B' UL Listed agent that not only produces revolutionary results in Fire Combat, but it rapidly reduces heat, improves visibility, and interrupts the combustion process to yield increased Personnel SAFETY! 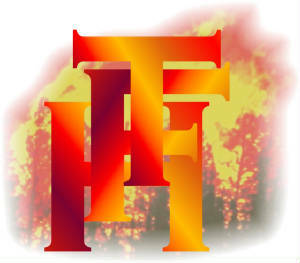 Absolutely amazing when partnered with the HFT 'Fire-Buster' Home and Farm Fire Protection System! Coil Method field tested [Video #1 and Video #2] prove concerns as non-issues. 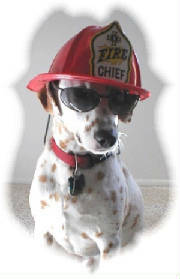 A 'NEW' Look at Fire- & Life-Safety Education for All Ages! Let's at least try to get this one! Really, just how much time do you THINK you are truly saving!?! ...and for what!?! Click here to ORDER your FREE DVD! Compare this to a garden hose deployment! Just how many personnel are required to advance this line!?! Is this truly the only way to deploy hose!?! But are we NOT obligated to utilize every SAFETY measure we KNOW to PROTECT ourselves!?! ...you can COUNT ON ME! How will YOU create your FUTURE!?! SAFETY! Yes it can really be just that SIMPLE! It doesn't just affect you as to which method you CHOOSE to be SAFE! Call anytime! All Voice mails and e-mails will be answered within 24 hours. Please bear with me as we are still very much in the development stages as we transition into full production.